Holidays are an opportunity for family to come together and reminisce. Family reunions like these are a good way for you to gather information and even resources for your genealogy research. 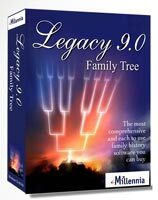 As the family historian it is important to take advantage of occasions like this so that we can build our family tree. Discover the origins of these special holidays and why they are so important to celebrate. 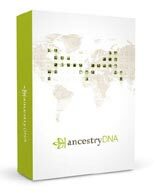 Within each guide I will explore ways that you can trace your family tree. What Is National German American Day All About? Just What Are The Origins to These Holidays? No matter where we live in the world, each country or state will observe a number of holidays throughout the year. You will undoubtedly celebrate these days with your family or friends. Over the years, and even centuries, the true purpose of these holidays may have been put to one side. Often due to commercialization. During my own family tree research I have grown to appreciate these family gatherings and holidays. This is primarily due to discovering more about these holidays and the reason for why we once celebrated these special and often sacred days. So, if you are like me and love to learn about the history of events, dates and places then please feel free to check out this section. I have included thus far holidays for the United States, the United Kingdom and Australia. I do hope to add more countries holidays and the origins to these in the future.